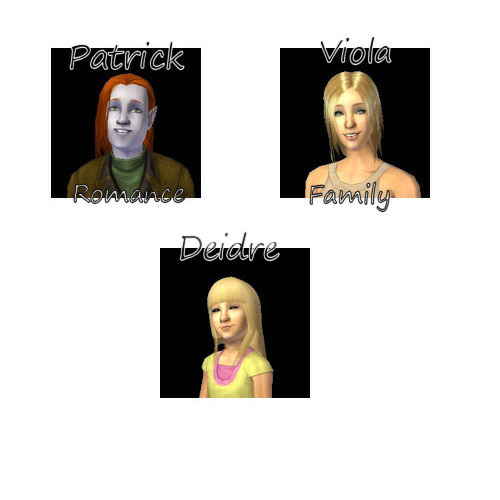 Patrick and Viola O`Hanlon have had a rocky marriage, but after Viola’s breakdown, things seem to be returning to normal. Deidre, despite being raised amidst dysfunction, is an outgoing and bright girl, her unique appearance gaining her quite a bit of popularity with her peers. Deidre is pretty sure her parents are crazy. One minute, they’re fighting and arguing, the next they’re acting as if it never happened at all. She’s given up on trying to figure them out; like the other great mysteries of the world, such things are better left to those with scientific minds and the ability to withstand watching their parents make out. Luckily, her parents’ dysfunction ends with them. Deidre is a popular and happy girl. The only setback she currently faces is growing impatience as she waits for her birthday. To her, it’s the biggest thing in the entire world. She’ll be off to high school, where her popularity will soar and her great marks will eventually get her into an even better college. Until then, she talks on the phone to her friends about it, her anticipation growing with every day. Things at the house are quiet for once. 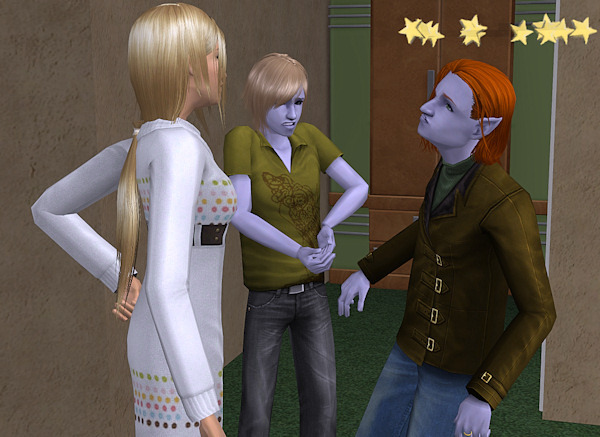 The bickering has died down considerably, with Patrick and Viola finally getting along again. Of course, Viola’s therapy is to thank for that. Her therapist has her reading books daily on anger management and how to properly express her frustration and unmet expectations. She’s even learned to set aside the past and move forward… provided Patrick keeps his hands to himself. 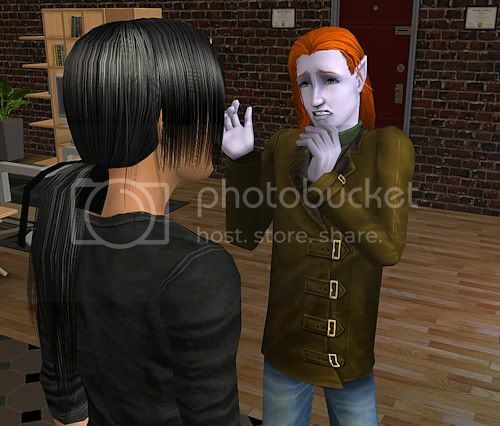 Patrick is pretty sure his days as a secret Lothario are over. He’s moved on from his leading man days and is now a pretty lauded director. He’s sure he’ll be even more famous once his next film drops, inspired by his own experiences with life, marriage, and fidelity. Until then, he’s still adjusting to the gray hair and newly found wrinkles. Deidre grows some of her own, into a lovely young lady. Even if she wasn’t the daughter of a famous actor and now director, Deidre would still be ridiculously popular. It wasn’t because she was an ‘it’ girl, but because she had charisma. It oozed from her pores and when she walked into a room, everyone noticed. She was the girl surrounded by men and women alike, charming them with a tale, engaging them with her unearthly eyes. Both her brother, Francis, and herself had inherited their father’s killer charisma. Deidre was pretty sure she wanted to be rich and famous, but the how/why weren’t important yet. She’d figure that out eventually. Until that day came, she’d enjoy hanging out with her friends. She had a ton of friends, but her favorite had always been Dominic Knight. He was a boy, yes, and he didn’t care much for shopping or talking about other boys, but they got along well. They were both rich kids, but with their feet planted firmly on the ground. Dominic was a little brooding at times and quiet, but it balanced out Deidre’s naturally talkative and engaging nature. He was her wall against the world; wherever Deidre went, so did Dominic. No one messed with Deidre and Dominic enjoyed the comfort of being at the top of the high school social circle without any real effort on his part. It was more than just a mutual agreement based on need. They genuinely got along and enjoyed each others company. They spent cold snow days off school in Deidre’s hot tub, discussing their future goals and plans. Both were very goal-oriented teens. Coming from money, they were pretty certain they wanted their own someday, too. Patrick, being a father and a former hormonal teenage himself, always checks in on them. Deidre always scolds him after Dominic leaves, telling her father that they’re “just friends”, but Patrick knows that when you’re a teenager, that doesn’t mean bunk. His little girl isn’t ending up with anyone remotely like himself, ever. He’ll make certain of it. Dominic is a nice kid, but Patrick wants someone worthy of Deidre’s radiance. Deidre O`Hanlon is no angel, however. Unlike her brother Francis, she’s got a bit of a feisty streak. Perhaps she inherited it from her grandmother, Sara. Either way, poor Dominic is always the victim to Deidre’s little pranks and games. You’d think he’d know better than to turn around when they’re surrounded by snow and the fact that Deidre’s known for her ability to pack a snowball perfectly in mere seconds. Unfortunately, while graced with intelligence, he’s still Claude’s son and prone to moments of vapid stupidity. He turns around, every single time, and is greeted by a snowball to the back, cold snow running down his neck and into his shirt. He’s taken to wearing a scarf tucked down into his coat, but it doesn’t always help. Being a boy, he naturally gets his revenge. Deidre may be popular and she may have the prettiest smile in all of Boreal Springs High, but she isn’t afraid to get down and dirty. That’s probably what endears her most to Dominic–the whole package, beautiful and strong. It’s a shame she’s completely unattainable. Deidre doesn’t have any desire to date, much to her father’s relief. She’s happy being alone, a strong, single female facing the big, bad world. She’ll find someone, someday, but for now? She’s in it to win it the only way she knows how–with her charming smile, her sweet voice, and her killer body. Note from Mao: Deidre rolled Fortune, so she’s Fortune/Popularity. From day one, she’s always been insanely friendly and outgoing. She always wants to make friends and she always wants to call people. Normally, I’d find this annoying, but it suits her so well. 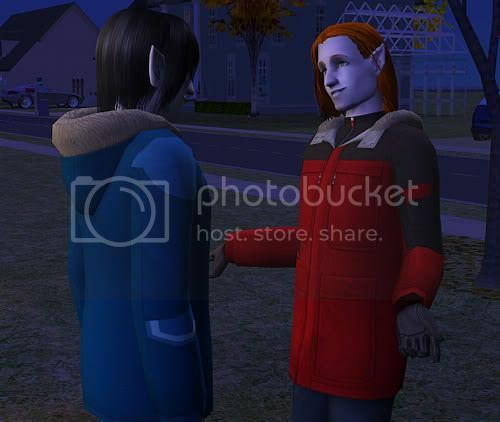 Despite it all, she’s a very kind and friendly sim. Dominic has less nice points than she does, LOL! She’s always wanting to prank him, though. Which I find hilarious. They have two bolts, but all Deidre is interested in is friends. 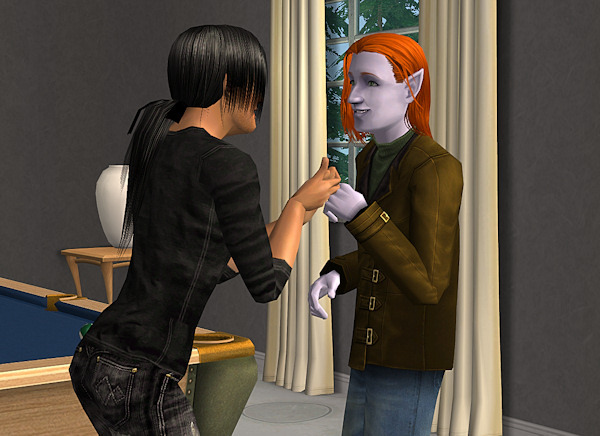 I haven’t seen any romantic wants from Dominic, so I think these two are safe as friends… for now. Things may slow down during Christmas, but don’t be surprised if you see some updates. We’re with the husband’s family this year and they all live within an hour or so, so no big traveling. Plus, they don’t really do anything “big” for the holidays. So, plenty of time to sim. Patrick and Viola O`Hanlon have a rather rocky marriage, thanks mostly to Patrick’s wandering eye. Francis is following in his father’s footsteps while little Deidre innocently prefers friends to lovers (so far). Can they hold it together? Years down the line, the family would say, “it all began with burnt omelets”. Because, of course, that’s where it all started. The single event that sent a bunch of ripples outward, affecting everyone and everything in its path. Viola was especially touchy that morning. When questioned how she, a normally proficient cook, managed to char breakfast, she was quick and snappy. Sure, it happens–to pregnant people and those not so proficient in cooking… not to Viola, who was very much not-pregnant and a good cook. Despite the issue with breakfast, life continued normally for a time. Deidre wanted to excel in school, so Patrick helped her with her homework. He vaguely wondered how his life would be different if he’d chosen the path of knowledge as opposed to that of fame, fortune, and leading ladies. It was a bit late for that, though. Patrick and Francis were both there for the melt-down. Neither of them really knew what to do or how to act. They just stared dumbly at Viola, sitting on the floor, staring into space. She’d lost her freaking mind. One minute, she was fine, the next… she just collapsed and went catatonic. It was as if something inside her just snapped, like a delayed synapse in her brain. She realized–as she had realized several times prior, but this time, there was profound clarity–that she’d spent almost her entire adult life married to an egotistical philanderer. Her self-esteem had been sabotaged, her integrity stomped upon. Viola was suddenly very, very angry. Francis was there when he saw his mother jump up and out-right clock his father. Mentally, he made a note not to cross his mother. She gave him a very terse look and her voice lowered to a decibel he didn’t think possible. She didn’t have to tell him twice. Francis was gone. He was sure that sometime later, in his young adult life, he’d recall this scene. He’d be sitting on a plush couch across from his therapist, trying to get to the bottom of his dysfunction. Patrick was, of course, suitably surprised. I mean, Viola got upset, sure, but she’d never threatened his good looks. She hit him where it hurts, in the nose, and boy did it hurt. Where did she learn to punch like that? The days after were tense ones riddled with questions and confusion. Patrick himself still didn’t know what the hell was going on. Viola had snapped, she’d lost her last marble. He was almost afraid he would go to sleep only to not wake up. He was tempted to get a place, but worried about damaging the kids. “Are you guys getting divorced?” Francis asked, trying to hide his sadness. Deidre was young, but not stupid. She knew what was going on. Her parents were being grouchy and crazy. She was just as worried as Francis was. 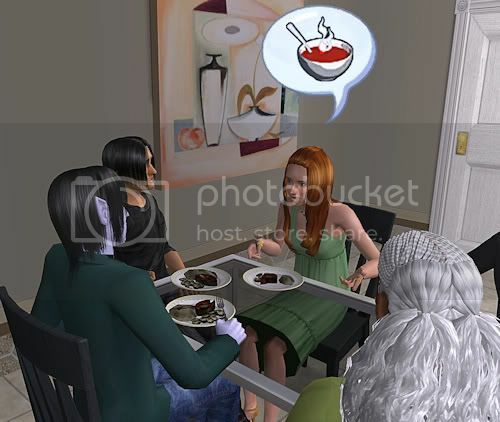 “What are you talking about?” Viola asked, startled. Patrick was at a loss. He really had no clue what to do. He wasn’t about to run up to Viola and have a chat, he’d nearly lost his last role thanks to her number on his nose. Broken, busted noses might work for comedians, but Patrick was a leading man–he needed his natural good looks! Michael Saunders was wondering why he always got dragged into other people’s problems. He wasn’t much of a problem-solver like his father. He didn’t have the tact for it. Patrick and Viola O`Hanlon have had their rough patches, but with two kids to raise, can Patrick curb his desires and finally do right by his family? Patrick was determined to prove to Viola that he wasn’t a complete lout. Perhaps it would even gain him some credit with his recently estranged family, too. Of course, little Deidre had a big part of it. Patrick really didn’t want her falling for a guy like her dad, that’s for sure. Unfortunately, he was too late with Francis. And so it was. Francis still did well with his studies, but they were no longer his focus. He was noticing the girls at school a little too keenly for his mother’s interests, who was a newly established teacher at the high school her son now attended. Meanwhile, Deidre was proving to be quite the intelligent little toddler. 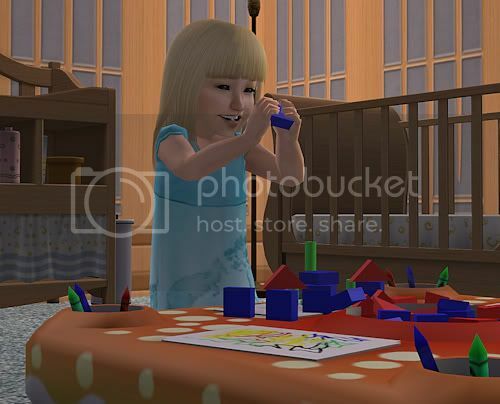 She was quick to pick up on everything and even complicated tasks such as potty training seemed to come easily to her. She was also a very keen listener and loved it when Viola would read her stories. She was a chatterbox, speaking almost as intelligibly as a young child would. She definitely out shined her older brother’s progress when it came to wit. It was becoming obvious to both Patrick and Viola that their small, city townhouse rental wasn’t big enough for the entire family. Francis was wanting his own space desperately now that he was a teen and Deidre was always managing to get into his stuff. They had plenty of money, thanks to Patricks’ burgeoning career, but hadn’t moved simply because of the convenience. Now Patrick was starting to see some merit in moving back to Boreal Springs. It’d be easier to resist temptation there, for sure. So, they moved into a large house befitting of Patrick’s status. 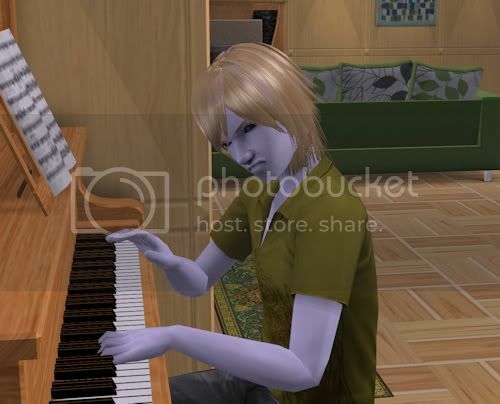 Upon moving, Patrick decided to purchase a piano from an actor friend who was also moving. He thought that maybe Deidre would like it when she was older. 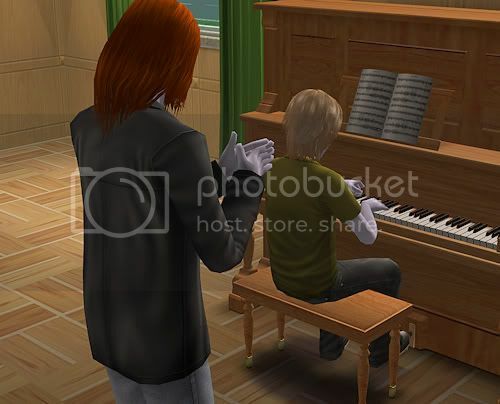 Instead, Francis sat down and tickled the ivories in such a masterful way it was astonishing. It was another reminder that Francis was just looks, he was brains, too. Patrick was still a little disturbed by how keenly Francis seemed to follow in his footsteps. 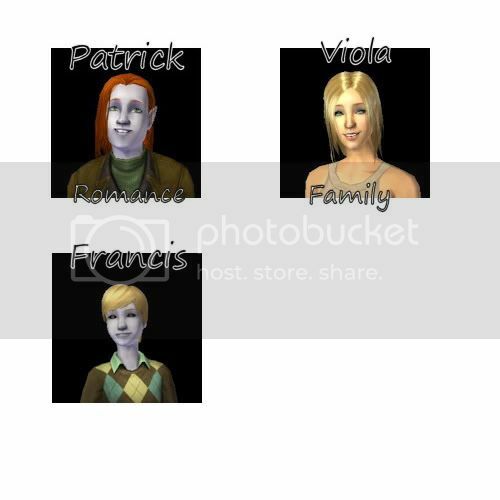 Moving had definitely lessened the rift that had developed between Patrick and Viola. With more space and room to breath, Viola was able to sort of put her worries aside and focus on the children and their current successes. She, too, saw that Boreal Springs might yet manage to tame Patrick’s ways, but didn’t hold her breath. Deidre grew up into a cheerful and loving child who enjoyed running around the large house. She was definitely vibrant and it was hard not to notice her when she was in the room. She demanded attention. If Francis had inherited Patrick’s personality, then Deidre got his presence. She was definitely a showboater. Note from Mao: There was something buggy about their apartment, so I moved them into a pre-built house that came with M&G. The kids needed space, anyway. Deidre is adorable and Patrick is still being faithful… so far. Francis rolled Romance, sigh. 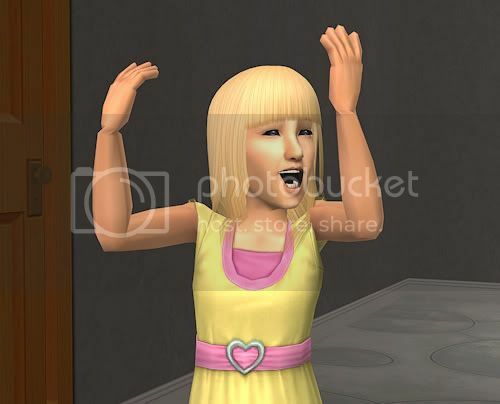 Also, has anyone else had an issue with this teen mesh? It looked fine at first, but now it’s just a mess! Patrick O`Hanlon has been caught in the act by his wife, Viola and even his young son, Francis witnessed it all. Can this family bounce back? Patrick hadn’t quite anticipated the guilt that would accompany his being caught cheating. It didn’t help that his son had seen it all, too. He couldn’t believe he’d been so careless. To make matters worse, his entire family was still angry at him over his mother’s untimely death. Finding out that Viola was pregnant again was the nail in the coffin. She had to forgive him–a tense household was a bad environment for a baby. Viola didn’t seem to share his sentiments. Reasoning with a pregnant woman? Ha! Right. Francis was curious about his mother’s condition, especially with the recent incident. He knew, vaguely, where babies came from. He was an intelligent youth. But he wasn’t very good at phrasing his thoughts. He ended up comparing his mother’s pregnant state with that of an elephant. As the days progressed, Viola got bigger, much to Francis’ amazement. She was still on ‘slightly civil’ terms with Patrick, who was finding that their expensive couch, while lovely to watch TV on, was hardly the best of beds. He attempted to regain Viola’s approval by capitalizing on the impending birth. Patrick had always been close with Francis, until the incident. Now Francis kept his distance and when Patrick tried to engage him, he was sullen and distant. It seemed to Patrick that he had truly been in the wrong and regardless as to who he may have been before Francis, he was a father now. He certainly had a duty to his son. He did everything he could to make it up to him and eventually, Francis accepted that. He made Patrick promise never to hurt either of them again like that. 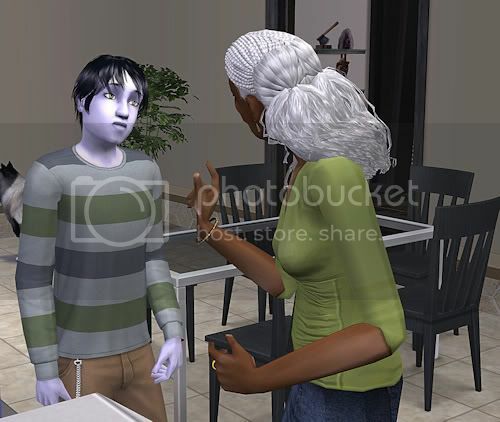 Viola was apprehensive about Patrick’s supposed ‘change’ and not at all pleased that he had promised their son something she thought to be impossible. Patrick was adamant, however. He had years of womanizing and he had enjoyed them thoroughly. The urge was still there, but not nearly as it had been. Seeing the pain he put his mother through and basically being ostracized by his own family was enough to set him straight, it seemed. Viola eventually gave birth to little Deirdre, who had an even more unique look than her older brother. She had her mother’s fair skin and hair, but shared her brother’s dark, pupil less eyes. It was certainly a shock and surprise to all those who witnessed the birth. Still, she was a normal little baby girl and completely healthy, too. Even if Viola had little faith in his decision, Patrick felt his dedication grow all the more when he held Deirdre. There’s just something about a daughter that makes a father want to be better. Maybe it’s the thought of her growing up and going for a man like her father? He certainly didn’t want anyone treating her the way he’d treated Viola. Days seemed to melt into weeks and weeks into years. Deirdre grew like a weed and with every passing day, all the more lovely. She’d be a heartbreaker for sure, a thought that made both her parents extremely nervous. Francis seemed fascinated with his younger sister and as he was growing close to being a teen, became concerned for her welfare and was determined to be a truly great big brother. Note from Mao: Poor Patrick seems to want to turn over a new leaf, but we’ll see how it goes. Deirdre is ADORABLE! 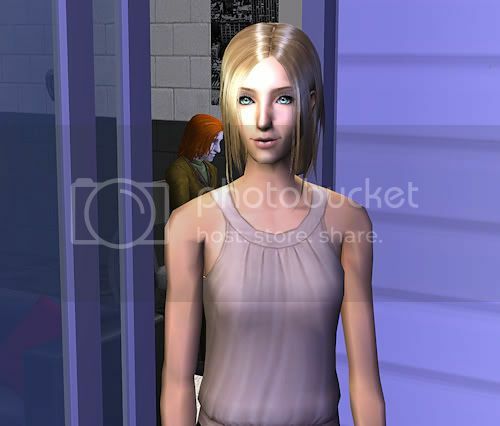 I’ve never had a completely normal sim with alien eyes before. Eeee! I also have no idea what’s up with Patrick and alien eyes, either. 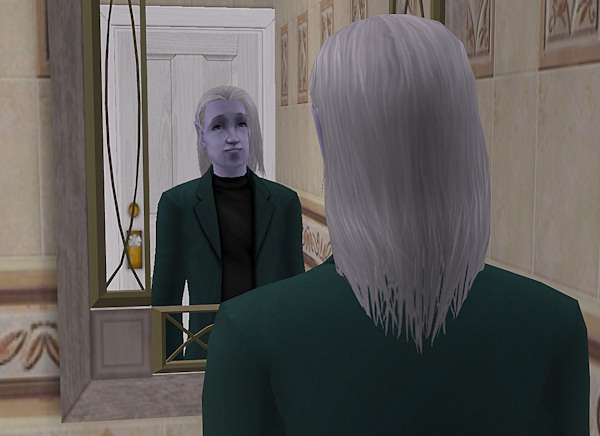 I changed my default alien eyes to Rensim’s, so if they look different in the last few pictures, that’s why. Patrick O`Hanlon isn’t exactly skilled at being faithful, but still, he’s married Viola in an attempt to placate his mother and be with his son. Viola enjoyed spending time with Francis–she especially liked teaching him nursery rhymes. She had never thought she would find motherhood so rewarding, but Francis was such an easy going and likable child. She felt a distant pang in her heart watching him grow. He had been an accident, but now their life seemed stable and something inside her demanded something more, perhaps a bigger family? Patrick wouldn’t be nearly as welcoming of the idea, though. Despite the hurried nature of their courtship and eventual marriage, Viola and Patrick got along well. They rarely fought and Viola didn’t ask questions when he was busy with long hours on shoots. She had known going into this that there was a chance of infidelity. She knew she was fooling herself, that ignorance isn’t always bliss, but why force yourself to see something? She was enjoying her family and the idea of normalcy. Patrick indulged her quite a bit. He wasn’t a faithful husband, but that didn’t mean he didn’t care for Viola or Francis. He just had a bit of a problem. 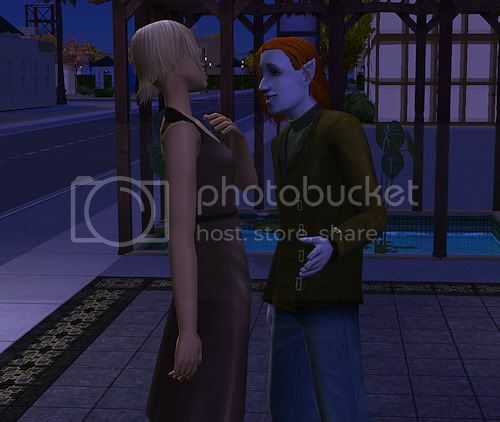 Of course, if Patrick didn’t want Viola to find out, perhaps he’d think better than to get involved with a neighbor. Calista was a fan and well, things went a bit farther than intended. It was the first time Patrick really stepped outside of his circle and he wasn’t really willing to stoop back down to that level afterward. It was one thing to cheat with co-stars, he could claim chemistry, or the forced nature of on-screen romances. A neighbor who was a fan? Well, there really wasn’t much of an explanation there. He’d have to watch his steps carefully. Especially now that Francis was a child and a clever one at that. He had definitely inherited his father’s keen intellect. Hopefully he didn’t also inherit his father’s amorous ways. He enjoyed both his parents quite a bit and couldn’t pick between the two. Hopefully he wouldn’t ever have to. For the time being, he was oblivious to his father’s many affairs and he thought his home life to be a happy one. He was a handsome child, and likable, too. He was already popular at a young age. He even made friends with his neighbor, Emma Davis. She was a few grades higher than him, but they were neighbors, so they got along well. Unfortunately, their friendship wouldn’t last long–she’d be going to middle school soon and leaving Francis behind. Francis rarely made trouble and he was content to read while his mother took a much-needed nap. She seemed to be tired a lot lately. Note from Mao: Francis turned out adorable! Viola does want another child, but we’ll see what ACR dictates. It’s a battle of Family VS Romance! Patrick O`Hanlon’s life has just been turned upside-down thanks to Viola Kalson’s unexpected pregnancy. Viola wasn’t exactly happy about the predicament she found herself in. She had wanted a family eventually, but the white-picket fence kind. Now she was stuck with a terrible decision to make. She could marry Patrick and doom herself to a marriage riddled with wanton infidelity… or become a single mother. How frustrating! It didn’t help that she looked like a whale! She had been head cheerleader in high school and even afterward, she was always thin, blonde, and pretty! Now she was just… horrible. Ugh. And how could she decide? She cared about Patrick… but she wasn’t sure it was mutual. Still, he was loaded, and so was his family. Cheating jerk or not, if she wanted her baby to have a good life, she had to choose him. It had been quick and painless, no fanfare, no ceremony. Patrick did not want the tabloids getting ahold of it and ruining his latest starring role in a movie being filmed locally. Sara, regardless, was happy that he had made the right decision. She just hoped he wouldn’t cheat on Viola and turn his son into a chauvinist pig like himself. Nathaniel, meanwhile, looked upwards and hoped the same–that this wasn’t just one big, horrible mistake. Why couldn’t any of his kids be normal? Little Francis O`Hanlon was born not long after. He surprised everyone by having the dark, black alien eyes and skin. Nathaniel certainly hadn’t had them. The doctor also said his ears would be pointed, as well. The only thing he seemed to inherit from his mother was her blonde hair. There was a bit of pride in having a son, Patrick found. Especially when he looked so much like him. It had been a rough labor, so Viola had been off her feet for the first few days that Francis had been home. She was surprised to see that Patrick had done so well with Francis’ care. When she vocalized this, Patrick gave her a look. 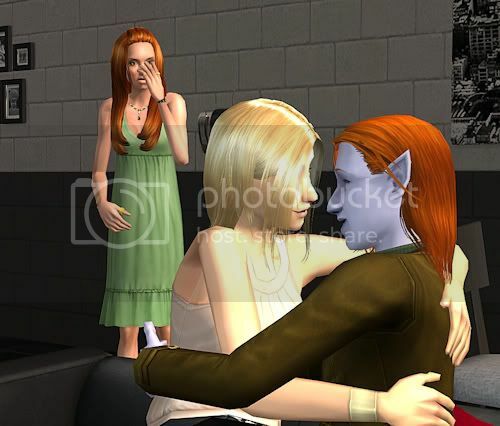 Viola said nothing, but perhaps this wouldn’t turn out as badly as she thought. 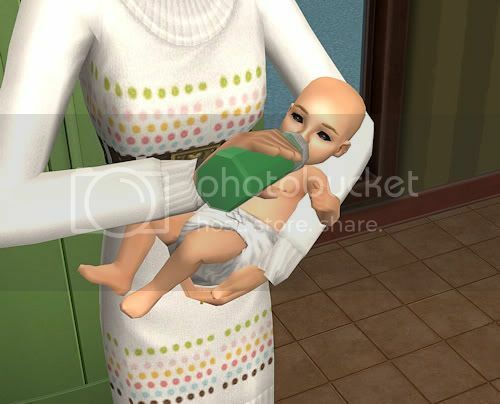 Despite her doubts, Viola found she loved being a mother. Francis was so cute, even if he looked nothing like her. Patrick’s exotic looks is what had originally attracted her to him, so to see them passed on to her son? She was happy. She was also quite thrilled that Patrick was moving them all to a much bigger apartment, more befitting of their wealth and sudden addition. They moved in next to Elena Davis and Fou-Lu Yu. Of course, Patrick moving in was big news to the other residents. Elena was related to Patrick, but even she couldn’t deny that he had a certain ‘something’ that made in incredibly pleasing to the eye. 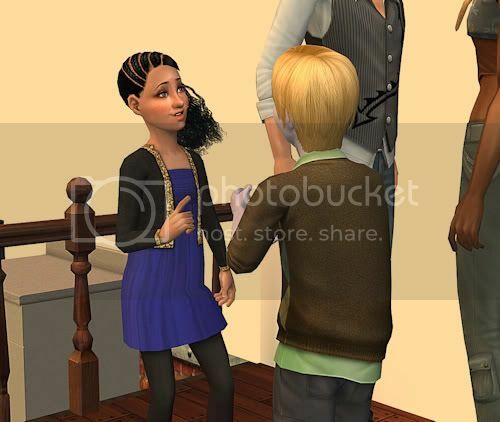 Her friend and neighbor, Calista, was in mutual agreement. He was married? What a shame. 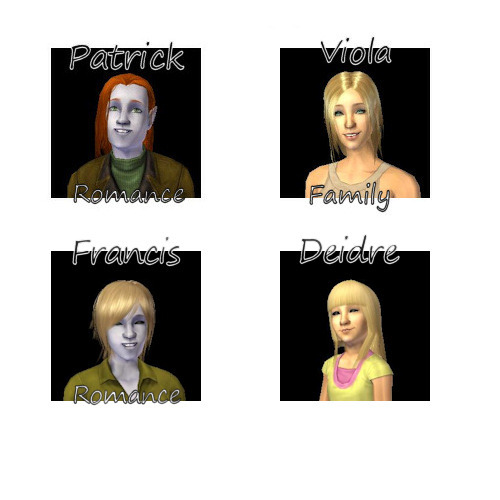 Patrick hadn’t changed any, despite being married and being a father. Viola worked very early in the morning as a substitute teacher, so she went to bed early. While she and Francis were asleep, Patrick snuck out with his co-stars. One such date ended up taking them to the dressing room. Costume change, indeed. Local residents of Boreal Springs saw it all, though they didn’t know who was hidden behind the curtain. 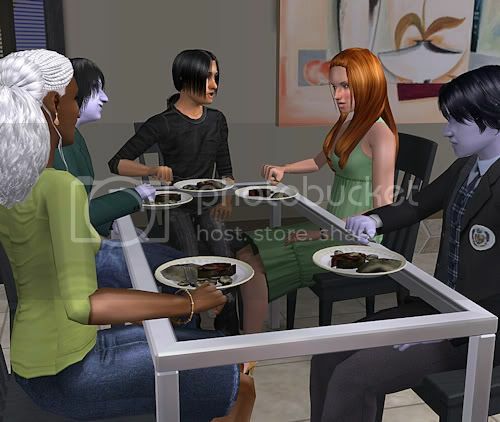 You can imagine Patrick’s surprise when Lauren Saunders, Viola’s boss and mentor, who also saw him the night before getting busy with someone not Viola, was at his house for lunch. 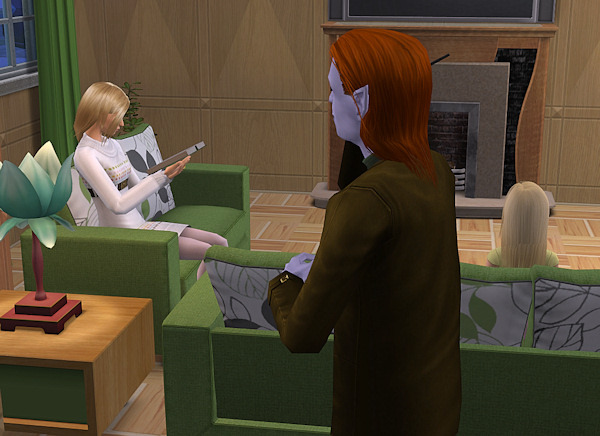 Viola had invited her in after Lauren had been kind enough to drive her home. Lauren said nothing, but she did notice the bit of anxiety Patrick showed, before regaining his composure. He was an actor, after all, and a dang good one, to boot. Still, he worried that Lauren would say something to Viola. Francis’ birthday came around and Viola felt it was time for a change. She was a mother now and she dressed the part. Little Francis grew to look even more like his father and grandfather. 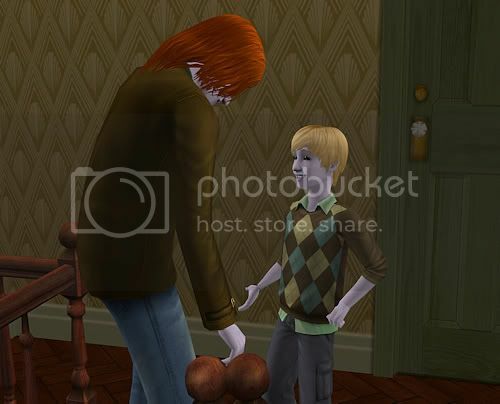 Patrick was happy to see his son blossoming, but was constantly worried and paranoid now. He couldn’t stop his second life, but he also couldn’t prevent others from seeing him, either. Paparazzi were everywhere. Viola would need only pick up a magazine to see, well, the obvious. Thannkfully, she was into nature and so rarely looked at magazines or watched entertainment television. She was too preoccupied with her job and Francis. Even with the pressure at an all time high, Patrick continued his nightly excursions. He was going to get caught, that was almost a certainty. He cared about Viola, but he was who he was, regardless of marriage or anything else. His major worry was his mother finding out. She’d beat him so hard he’d be out of acting commission for months! His face was his most precious asset! Nathaniel and Sara Anderson are happy their kids are finally accomplishing something, but, not quite so happy that something seems to be getting girls pregnant or going after questionable relations. There’s still Cole, though, right? 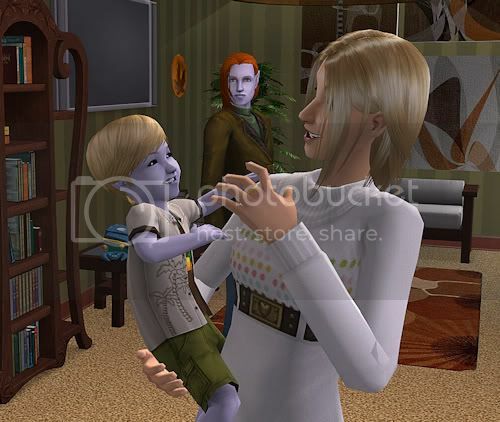 Cole met his distant cousin, Adora Anderson, and heir to the Anderson estate one day at school. He knew instantly that Shelly would hate her as much as she hated Maggie. 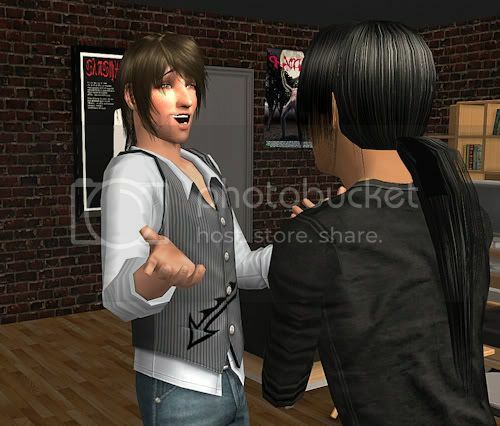 There was no attraction there, Cole simply enjoyed knowing the important people in Boreal Springs. He was still fully intent on getting Shelly to re-evaluate their little ‘deal’ only this time, sans Timothy O`Hanlon. 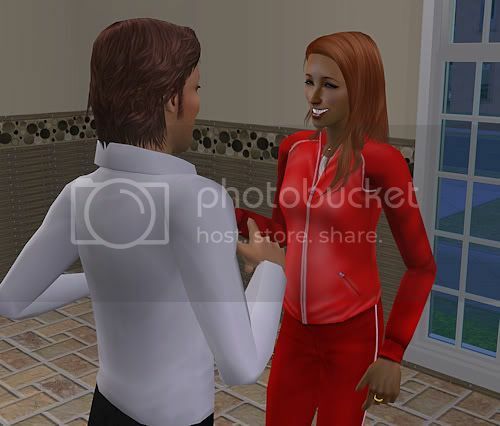 Sara, meanwhile, had Patrick come over with his impregnated woman friend. Patrick had come only because he knew that if he didn’t, the repercussions would be much, much worse than if he did. So he came, sat down on the couch and tried to work his charm on his sweet old mother. Dinner was a tenuous affair that Cole enjoyed very much. Seeing his older siblings get in trouble was always a good thrill. He also couldn’t help but notice just how very pregnant Viola was. Wow. Sara wasted no time getting down to the dirt on things–Patrick would have to do the right thing get hitched. Nathaniel was so shocked by the blunt statement that he accidentally burned dinner. Patrick and Viola both were not entirely sure what to say, but Sara was adamant. Marriage or nothing. 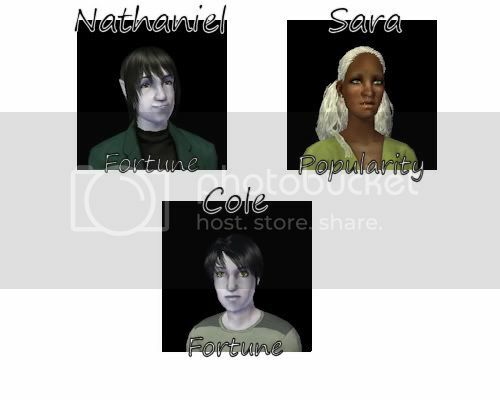 Patrick tried to counter with the fact that Sara and Nathaniel hadn’t married at first, but Sara was ready for it. She got pregnant of her own volition. Patrick is a womanizer who obviously doesn’t respect women. Nathaniel saw them out, looking just as wearied as poor Viola. She was definitely ready to leave–the stress of Sara’s constant prodding was almost too much. Inside, Cole was getting lectured by Sara. “Yes, mom,” Cole replied mechanically, sighing. Speaking of cousins, Michael and Sade came over to see Cole off to college. 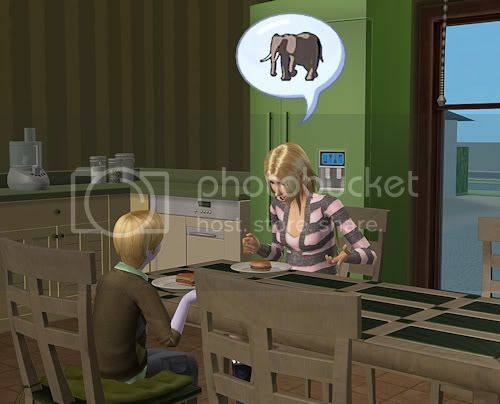 Once again, Nathaniel burned dinner. He claimed that all the stress of these situations was too much. He’d rather be with his dolphins or training others how to properly feed the seals. Not this insanity met for family sitcoms. It wasn’t that Sara didn’t like Michael, she did, a lot. He was Gordon’s child and therefore, she knew him better than he thought. Heck, Sara knew Gordon better than Nathaniel knew. She was his legal advice and she’d come to know what he actually did for a living. Made things interesting, that’s for sure. Michael was a good kid, Sara was just worried being with Sade would mess him up. Not vice versa. She loved her little girl, but Sade was something else. Which resulted in a glare and laughter around the table. Cole would miss his dysfunctional siblings, but University awaits. Note from Mao: Whew, what a round. Sara had some issues to address with her children! Poor Nathaniel, I think he’s getting too old to cook, he kept burning everything, LOL. The mesh that makes H&M outfits and others pregnancy morphed makes them look like whales. Wow. 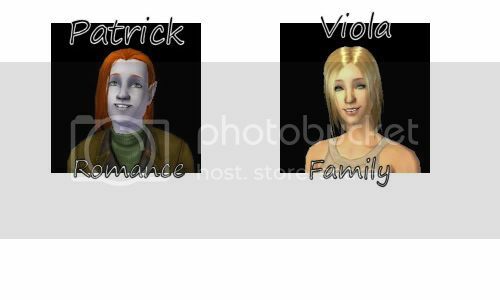 The addition of Viola directly into Patrick’s life had been a hastily made decision. He couldn’t just leave her out in the cold, but he wasn’t particularly looking for a live-in lover, either. He enjoyed his women at arm’s length, where he decided what was done. Now he had to deal with her everyday and sometimes, he even found himself feeling a little guilty at having other women over. Guilt, seriously? This was not something Patrick wanted to deal with. Viola, however, had no qualms about the living situation. She made herself perfectly comfortable. It took her some time to find a job and until she did, she hung out in her pajamas and watched TV. She wasn’t completely useless, she would cook, clean, and try to pick up some of the slack left by Patrick’s work schedule. Viola didn’t want to be a burden. She did eventually find work at the local elementary school, however. It was enough to make her consider that perhaps she should looking into some sort of adult education program. She found a love and fondness for children she hadn’t previously known of, so wrapped up in the glamorous styling of being moderately famous. Patrick, meanwhile, had taken to waiting until Viola was either gone or sleeping to indulge his romantic ways. He was spending more time with Viola than he cared for and so was driven to prove himself the same old womanizer he’d always been. Virginia Saunders was an easy catch, too easy. It was obvious he was grabbing at straws. Alyssa would tell him to stop being and idiot and think. He was intelligent, he could see all the signs, he just didn’t want to. Patrick wasn’t in love, but he was becoming comfortable and comfort was dangerous. Viola found herself feeling a similar uneasiness, though hers was not caused by confusion. Her time with Patrick had been spent in haste and stupidity, for she showed all the signs of being pregnant. She wasn’t sure what to do once she found out her worries were true. Telling Patrick didn’t seem like an option… but she couldn’t hide it forever. This was when Viola found it hard. No friends to confide in, completely alone and forced to deal with something so sudden and unexpected. She spent the first two months of her pregnancy lost in a fog of uncertainty and worry. Despite his intelligence, Patrick lacked common sense. So when he saw that Viola had put on a little weight, he thought simply that the sedentary lifestyle she led was catching up to her. He would kindly suggest a gym membership or even some at-home pilates. Anything, really, because the weight of her on his lap was becoming a bit painful. 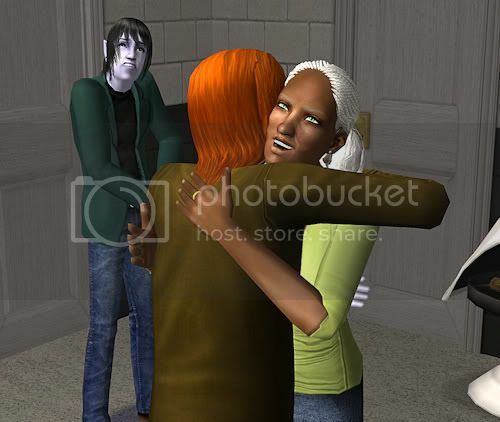 Viola’s face turned pale and the pain Patrick felt was no longer akin to Viola’s weighted form on his lap. No, this one started in his chest and threatened to spread to his limbs. 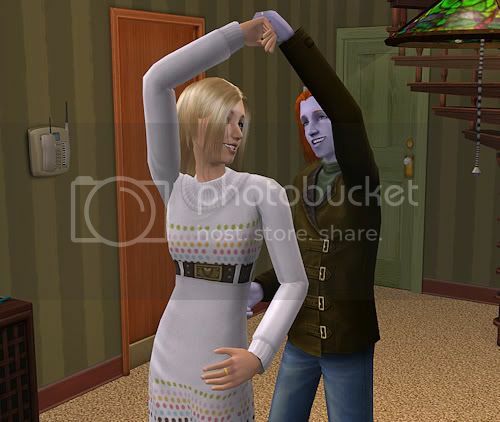 In his haste to rise, he nearly threw Viola to the floor. “What? You didn’t know? Idiot,” was all Sade offered, rolling her brown eyes. Alyssa Anderson is trying her best to make sure her family name prevails, despite her careless son Nevio’s attempts otherwise. 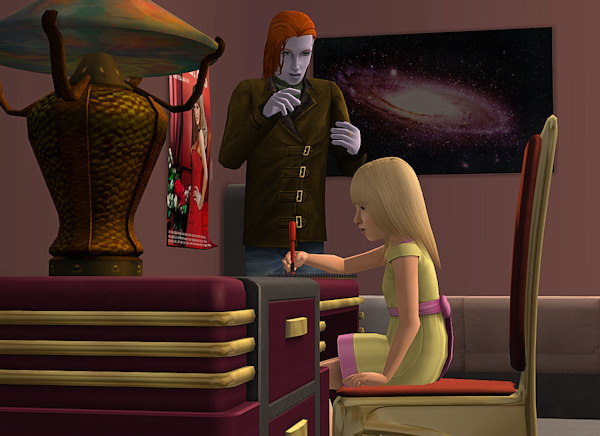 Isolde seems to be a lost cause, but Adora is turning out to be more of an Anderson than anyone expected. Isolde’s family may think she’s a ‘lost cause’, but she thinks otherwise. She wants nothing to do with their silly familial ceremonies and rites of passage. She’s more interested in her teenage love, Timothy, and her interests in the paranormal. Thanks to Lilith Yu, she’s finding out a ton about the world beyond. Thankfully, Timothy is respectful of her interests. Nevio is making his own kind of friendships, much to Alyssa’s chagrin. 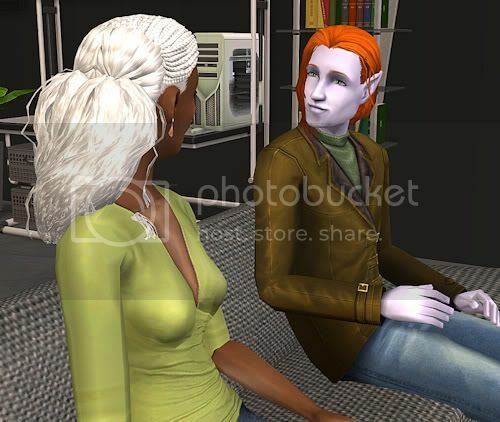 It was one thing to mess around with random women from Aperture, but to form relationships with married women from the same street? Alyssa nearly had a heart attack when she found her son laughing with Virginia Saunders, who is also very pregnant and near her due date! It was hard to believe she had raised a son with so little tact. Alyssa certainly hadn’t been an angel herself. She had ruined her marriage by cheating with Shang Yu, but she had made peace with her past mistakes and she hadn’t seen Shang in a long time. Unfortunately, while she had meant to focus on her family, she had gotten sidetracked by another–Patrick O`Hanlon. He was young, way too young, but he wasn’t like the other casanovas. He was intelligent and skilled in things other than smooth talking. It was during one of her events that she met up with him again. He had come to see if there was anything she could do for his friend, Viola. Alyssa was saddened that she could not, for she had pulled too many strings to get him where he was. There had been a time, before this, that Patrick had inquired about seriously being with Alyssa. She was intelligent and interesting, all the things the other women in his life were not. She was older, but that came with power and position. Unfortunately, Alyssa had declined and said she was much too old to be someone’s keeper and she had to focus on her family. It was his first break in showbiz that had been her parting gift to him. She was only mayor, but she had many, many friends. It was a bittersweet farewell, for Alyssa knew it would likely be the last time she saw Patrick. She wished him well. If she had been younger, maybe, but she knew it was senseless to think such things. 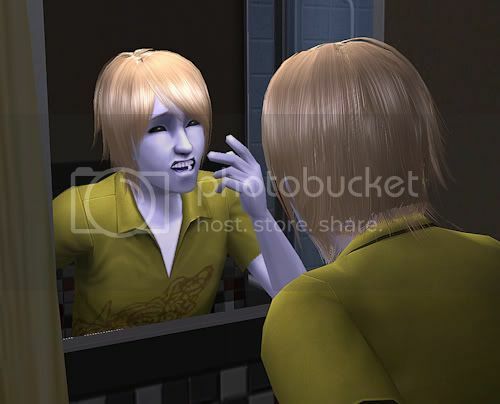 While Alyssa was away for her event, Nevio was causing even more trouble. Cara had been jogging by one day while he was going out to get the mail. He stopped and asked after her, noting how she’d managed to get her figure back so quickly after giving birth. Cara asked after Roman, wondering where he was and if Nevio knew. Nevio did not. Isolde knew better than to think Shelly wanted to make peace when she got off the bus with her, but she ignored her instincts and went along with it. What she got in return was Shelly going over how Timothy and Isolde were from two different worlds and how it would never last, because Isolde was obviously a freak. Isolde hated the fact that Shelly was technically her aunt and so she couldn’t kick her out. She had to wait until Shelly left. Adora, meanwhile, was doing extremely well thanks to Alyssa’s tuteledge. She brought home straight A’s and her teachers were always beaming about her progress. Nevio was certainly impressed with his daughter, though he knew it was mostly thanks to Alyssa and not his own awesome parenting. Note from Mao: Poor Isolde. Shelly really did come home with her and lecture her. Alyssa and Patrick really did have a relationship at one point, but it never made it to the blog because Alyssa treated it casually and Patrick did not. They dated while Patrick was in University and a little afterwards. Every time he sees her, he rolls up that want, and then sometimes will fear it, too. But he never wants to marry anyone else. They went on one last date because I was sure Alyssa would be gone by the end of this round. Seems she’s got a few hours left. Michael Saunders is happy to be out of University, but is a little unsure about dealing with Fou-Lu and Elena’s messy situation. Michael found an apartment quickly in Aperture. It wasn’t hard, it seemed as if they were going up all over the place. Fou-Lu came with him. He felt bad about the whole thing between him and Elena and he knew that Fou-Lu deserved to know the truth, even if he was a bit immature. So Michael took it upon himself to make things right. Elena had called him not too long after they moved in and said she was willing to come over. Michael passed the news onto Fou-Lu, warning him against any of his silliness. Fou-Lu simply laughed him off, wondering what Michael was talking about. 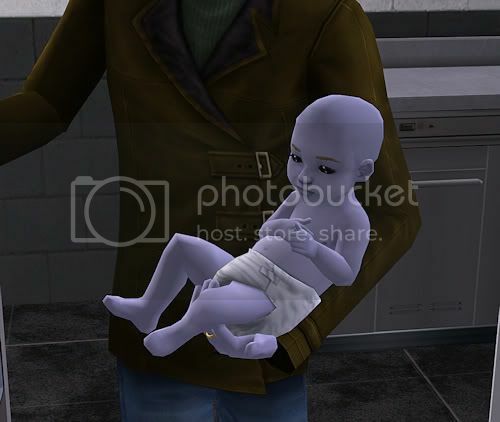 Just as Michael expected, Elena arrived an hour or so later with little Emma in her arms. Michael had already seen his niece several times and so wasn’t surprised by how much she had grown. He made sure to warn Elena, though. Fou-Lu wasn’t nearly as shocked as Elena had anticipated, leading her to believe that her brother may have betrayed her confidences. She let it slide and instead introduced Fou-Lu to Emma. The resemblance was remarkable, there was no denying she was his daughter. 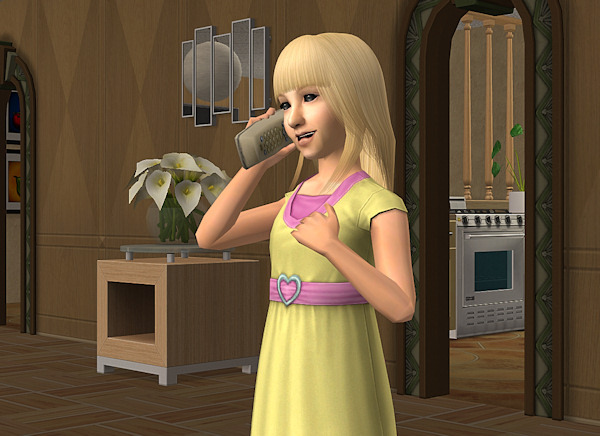 Elena was a little upset that little Emma didn’t seem to look anything at all like her, except for her thick hair. Instead of being angry or upset, Fou-Lu took Emma and began to play with her. He joked around and was casual, it put Elena at ease. She was sure he would demand to know where they stood. Instead, he focused on Emma. Visits would become a common occurence. 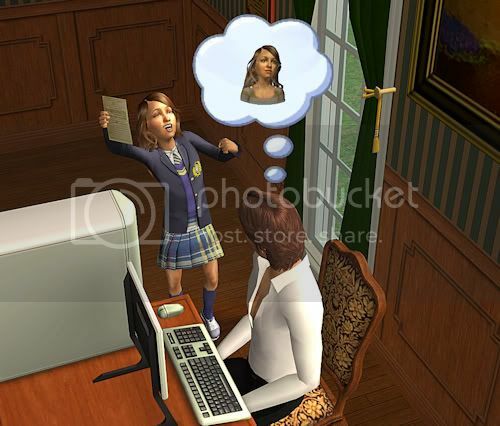 Michael had been right, Emma needed to know her father, even if he was a child himself. As if dealing with that situation wasn’t enough, Michael was surprised to answer his door one afternoon only to find Patrick O`Hanlon outside. He said little to Michael before shoudlering his way in, forcing Michael to close the door and follow him, apprehension written on his face. Patrick and Michael had always been friends… but tense ones. Sade was a major factor in this. Was Patrick kidding? Michael hoped his surprise didn’t show on his face. He certainly didn’t want Sade here, not for all the money in the world. That was dangerous. He was right, how could he? With a heavy sigh, Michael relented. It took a weekend for Sade to pop up. 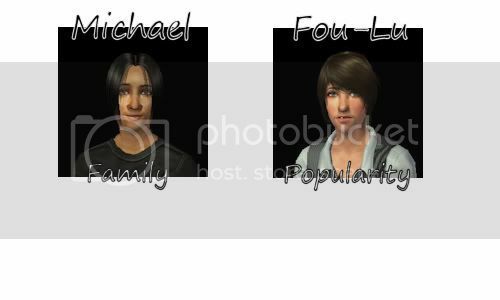 Michael had returned from running some errands to find the house empty–Fou-Lu had been spending a lot of time with Elena and Emma lately. He walked into his room only to find Sade. It was hard not to notice that she definitely wasn’t a teenager and while she was still a little younger than him, the gap was a lot smaller now. She smiled, as if she was completely oblivious to the fact she was missing most of her clothes. What had happened to him and what was she doing? “Sade, what are you doing?” He demanded, looking past her and out the window. Michael said nothing. He simply turned around and exited the room. Sade watched him go, frowning. Well, that obviously didn’t work. Sade continued to drop in uninvited, but kept her clothes on for the most part. Michael avoided her as often as he could, which wasn’t hard. His job had him traveling a lot. He spent a lot of time going to Universities and lecturing on physics and aiding with certain research. It was pretty much nerd work, but he made quite a bit at it, which was how he could afford housing two other people who didn’t pay a single bit of rent. He would have to call Patrick and let him know that this wasn’t going to work out. He’d have to take care of Sade himself. Did Patrick truly have no idea what he had done by putting her here?